Theory for Art History　provides a concise and clear introduction to key contemporary theorists, including their lives, major works, and transformative ideas. Written to reveal the vital connections between art history, aesthetics, and contemporary philosophy, this expanded second edition presents new ways for rethinking the methodologies and theories of art and art history. This new edition comprises a complete revision of each theorist; updated and trustworthy bibliographies on each; an informative introduction about reception of critical theory within art history; and a beautifully written, original essay on the state of art history and theory that serves as an afterword. From Marx to Deleuze, from Arendt to Rancière,　Theory for Art History　is designed for use by　undergraduate students in courses on the theory and methodology of art history, graduate students seeking an introduction to critical theory that will prepare them to engage the primary sources, and　advanced scholars in art history and visual culture studies　who are themselves interested in how these perspectives inflect art historical practice. Adapted from Theory for Religious Studies by William E. Deal and Timothy K. Beal. 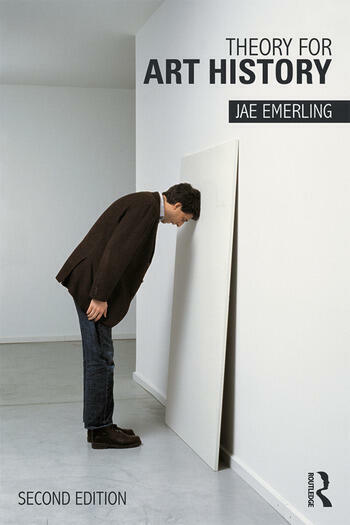 Jae Emerling is a Professor of Art History in the College of Arts + Architecture at the University of North Carolina, Charlotte. He is also the author of Photography: History and Theory, published by Routledge.